Kimizuki is serious and diligent person. He is competitive against Yuuichirou Hyakuya. He earned the highest test scores in their class, and he is angry when Yuuichirou appears out of nowhere and may earn Cursed Gear before him. He is hot-headed and tends to get in fights with both Mitsuba and Yuuichirou. He is tidy and skilled at cooking. When his friends are unconscious or injured, he is the first to take care of them, whether it be nursing them or giving them his jacket to keep them warm. Although the other members of his squad quickly refer to each other on a first-name basis, he is the only member the others address with his surname. 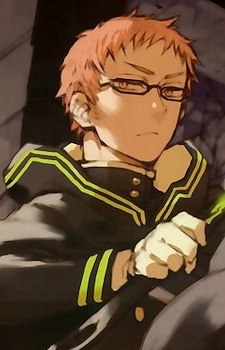 Kimizuki has very high intelligence, and was the top of his class in all subjects and regularly earned perfect scores. He earned 100s on each of his Latin, English, and Japanese spellcraft exams. He is on par with Yuichiro on skills of swordsmanship.